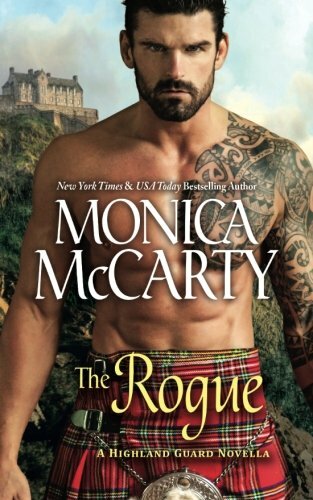 A novella set in the world of New York Times Bestselling Author Monica McCarty’s Highland Guard Series. What’s not to love? Not only is Sir Thomas Randolph, Earl of Moray, one of the most important and wealthiest men in the kingdom, he’s charming, devastatingly handsome, and the favored nephew of King Robert the Bruce. Even so, when Isabel “Izzie” Stewart meets the vaunted knight, she’s glad he’s her cousin’s soon-to-be betrothed and not hers. He takes himself far too seriously, to her mind, and seems to be acting out the role of the “perfect” knight. In her experience, men who are too good to be true usually are. But when Izzie starts to wonder whether her first impressions might have been wrong, she discovers a complex, compelling man who is far from perfect and more seductive than she ever imagined. (This is an novella of approximately 50,000 words).